Concrete Plasticizer: Achieve Workable Concrete with Less Water Content! Requirement of the right workability is the essence of the best concrete. Concrete in different situations require different degree of workability. In conventional methods, high workability is obtained by improving the gradation, or by the use of relatively higher percentage of the fine aggregate or by increasing the cement content. To obtain high workability at the field for a given set of conditions, we usually have to undergo with difficulties and at sometimes limitations. Concrete Admixtures are used to improve the behaviour of concrete under various conditions and to ensure the quality of concrete during mixing/transporting/placing/curing, both as a fresh concrete and hardened concrete. There are several types of concrete admixtures, among which the most popular and commonly used is concrete plasticizer. Concrete plasticizers can help in working during difficult conditions to obtain higher workability without using excess of water. Here we have given brief information on concrete plasticizer and its types, use for improving workability of concrete. Concrete plasticizer which is commonly known as water reducing admixture amongst professionals is used for improving workability of concrete. It either increases workability of freshly mixed concrete without increasing the water cement ratio. Concrete plasticizers are added in concrete in amount of 0.1 % to 0.4 % by weight of cement. Addition of these doses reduces 5 to 15% of water requirement in the concrete mix with constant workability. The strength of concrete is a major function of water cement ratio. 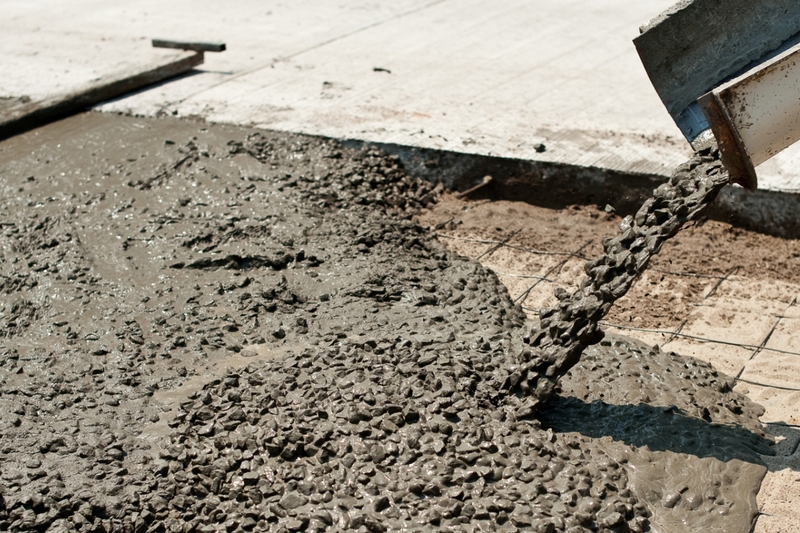 Higher the amount of water in fresh concrete, the less the strength we will get.1 % increase in water cement ratio reduces strength of concrete by 5%. Normally there is a tendency amongst workers to add more water as it makes concrete workable during construction, so casting of concrete can be done easily by the workers. If excess amount of water is added during construction, then homogeneity of the concrete mix decreases. This can lead to segregation or bleeding of concrete. Hence, concrete plasticizers are used to get a workable concrete mix, without using excess amount of water. Regular plasticizer helps in reducing the water content up to 15%. These are used in very small amounts, generally 0.1% of the concrete weight. Superplasticizers enable up to 30% reduction in water content, keeping the workability of concrete fixed. These are used in high strength concrete mixes, which are used for high-rise structures, commercial buildings, industrial structures, etc. Concrete plasticizers are usually used in ready-mix concrete, mass concreting, high strength concrete, etc. The practice to add water reducing admixture is popular all over the world, to reduce the water requirements for making concrete of higher workability or flowing concrete. Next PostNext 8 Eid Decoration Ideas to Transform Your Home Into a ‘Jannah’ (Paradise)!